The S10 range is confirmed to be landing on February 20, and ahead of that we&apos;ve heard a lot, thanks to a swath of Galaxy S10 Plus leaks and rumors that have hit the web in recent months. From what we can tell so far, the Samsung Galaxy S10 Plus could be very different to the Galaxy S9 Plus, with a new design and numerous new features. 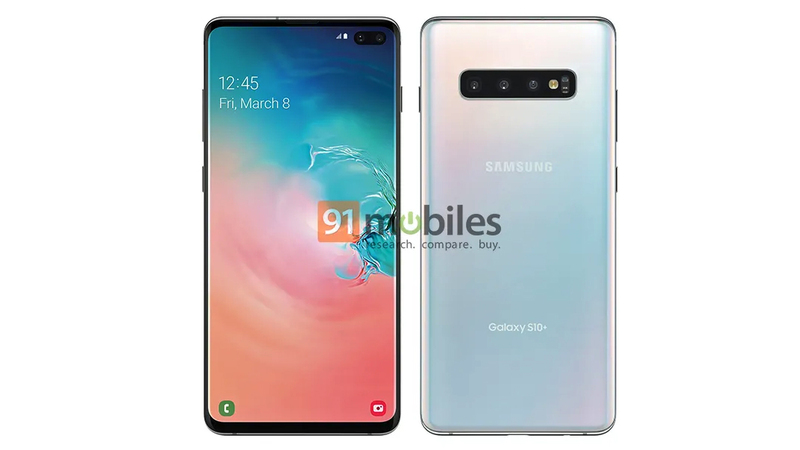 Update: New renders and a leaked promotional image give us yet another look at the Samsung Galaxy S10 Plus. You might have to wait longer for the best version of the Galaxy S10 Plus than for the standard model though, with a Samsung website pointing to a March 15 sale date. You&apos;ll find full details on all the Samsung Galaxy S10 Plus rumors below, as well as information about the Galaxy S10 Plus release date and possible price. We&apos;ll also be sure to update this article whenever credible information emerges, so check back here regularly if you want to keep up to date on the Samsung Galaxy S10 Plus. 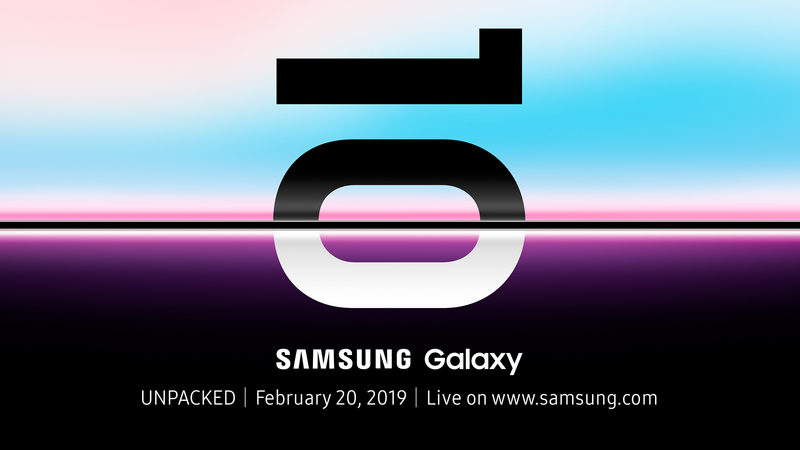 Samsung has sent out invitations to the unveiling of the S10 range on February 20, at an event in San Francisco. All will be revealed at 11am PT (2pm ET, 7pm GMT) on that date, in the Bill Graham Civic Auditorium. It&apos;s worth noting that the S10, let alone the S10 Plus, isn&apos;t mentioned by name in Samsung&apos;s invite, but we&apos;re clearly going to see the new range, and the S10 Plus is sure to be among the announced handsets. Of course, that&apos;s probably not when you&apos;ll be able to buy the phone. The main rumor there points to a March 8 date for most of the range, which is something we&apos;ve heard more than once. Another source has also now said the range will come to Italy on March 8, so that&apos;s likely when you&apos;ll be able to buy the bulk of the range in most of the world. However, the best Galaxy S10 Plus model (which is set to be limited edition and rumored to come with 12GB of RAM and 1TB of storage) will seemingly hit stores on March 15, according to Samsung Philippines. We&apos;ve also heard an even later date of March 29 for the top-end 5G model, which might be called the Samsung Galaxy S10 X. That adds up, as an alleged source inside Samsung claims that the 5G phones won&apos;t be available when the main 4G versions launch, and will appear sometime in the first half of the year. It&apos;s also likely that when the S10 Plus launches EE will stock it in the UK, as the network already lets you register for updates on "the new Samsung Galaxy". An early Samsung Galaxy S10 Plus price rumor claims it will cost €1,049 (around $1,190 / £925 / AU$1,665) for the 6GB of RAM and 128GB of storage version, while a 8GB/512GB model could set you back €1,299 (around $1,475 / £1,130 / AU$2,065). However, a more recent Galaxy S10 Plus leak suggests the handset won&apos;t cost quite that much, with 6GB/128GB costing €999 and the 8GB/512GB model coming in at $1,249. That&apos;s still more than the launch price of the Galaxy S9 Plus in Europe, which means you&apos;re probably looking at a $50/£50/AU$100 premium on the S10 Plus price versus its predecessor. The most exciting Samsung Galaxy S10 Plus price leak is also the most expensive. Tipped to set you back €1,499 this top-of-the-range S10 Plus will reportedly pack a massive 12GB of RAM and 1TB of storage. That&apos;s still cheaper than a 512GB iPhone XS Max though. Our best look yet at the Galaxy S10 Plus comes from the leaked photos below, showing it alongside the standard Galaxy S10. You can see that the Samsung Galaxy S10 Plus has a triple-lens rear camera, a dual-lens selfie-camera in a punch-hole in the screen, tiny bezels at the top and bottom of the display, and a 3.5mm headphone port on the bottom edge. Not long before that we saw a much lower quality image that matched up, showing the dual-lens selfie camera. And we&apos;ve even seen another leaked photo (below) showing the phone in the wild. You can see that there&apos;s a pill-shaped camera cut-out, as has been widely rumored, and very little bezel. Again, this all matches up with other recent leaks. In response to the image, another source who claimed to have the handset said that it was lighter than the Samsung Galaxy Note 9, despite being around the same size. 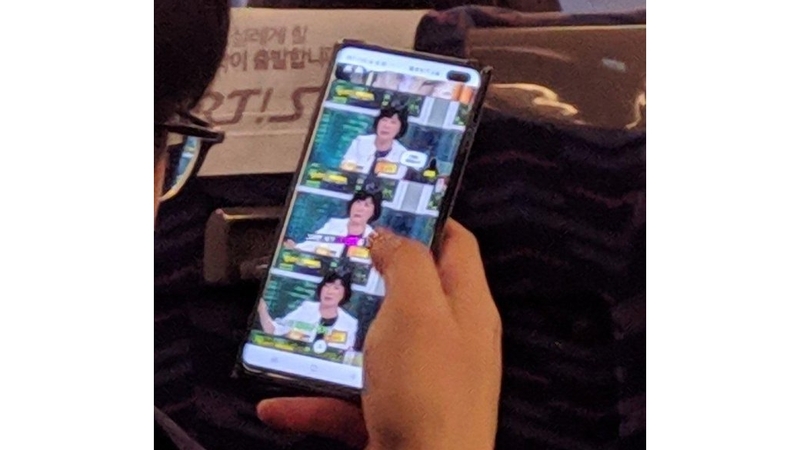 We&apos;ve also now seen photos of dummy units (non-functioning display models) alongside the standard Galaxy S10. You can see these below and will note that they match the images above, showing two very similar phones, just with a different number of front cameras and a different sized screen. Evan Blass has also shared renders of the Galaxy S10 Plus, showing it in black, green and white, as well as posting a picture of the S10 Plus together with the S10 and S10E in clear cases. From the pictures (below) it looks like the S10 Plus will have a triple-lens rear camera and a dual-lens front-facing camera, just as other leaks have shown. The same leaker has also shared the promotional banner image which you can see below. This appears to be official marketing for the phone, and the design once again lines up with other leaks. We&apos;ve also seen two leaked images, showing the S10 Plus from the back, but oddly they don&apos;t match up with each other. 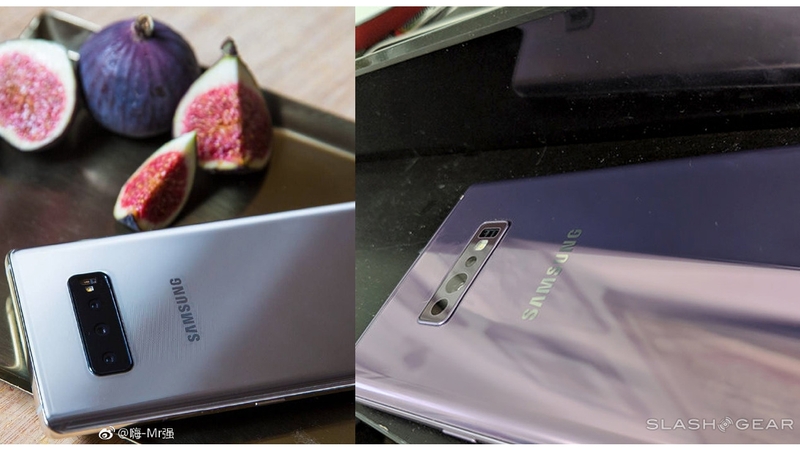 As you can see below, they both show a phone with a triple-lens camera, but the color of the camera block differs and the size of the lenses possibly does as well, so it&apos;s possible that only one or neither of these images is right, or that they show different phones – perhaps one shows the S10 while the other shows the Galaxy S10 Plus. The images otherwise do line up, showing a slightly curved back, probably made of glass, and a frame that looks to be made of metal. We&apos;ve also seen an image possibly showing a prototype of the Samsung Galaxy S10 Plus from the front where you can see there&apos;s a dual-lens camera in a corner notch (as opposed to it being cut into the screen as some leaks show). You can see this below. This however is now at odds with most leaks, so likely fake. 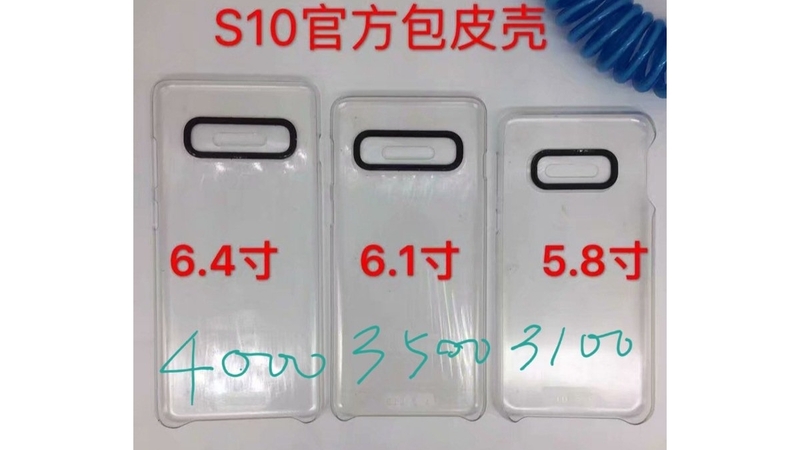 Elsewhere, we&apos;ve seen renders of the Galaxy S10 Plus in a case, complete with four cameras on the back (rather than the three pictured above). There&apos;s also a dual-lens camera on the front but it&apos;s cut into the screen rather than extending from the top edge. We&apos;ve also seen a video showing a case supposedly built for the phone. While the case itself is nothing new, what the video does demonstrate is its size relative to other handsets. The 6.2-inch Samsung Galaxy S9 Plus fits neatly into it, as does the 6.4-inch Oppo Find X, but the 6.4-inch Samsung Galaxy Note 9 is too big. That supports rumors that the Galaxy S10 Plus has a screen of roughly 6.4 inches but with smaller bezels than its predecessor. So in other words, the S10 Plus might be around the same size as the S9 Plus despite having a bigger screen. Previously we saw some leaked renders shared by OnLeaks (a reliable leaker), which gave a more complete look at the possible design of the Galaxy S10 Plus. The renders, which you can see below, show a cut-out in the screen for a dual-lens front-facing camera, but the bezels are very slim. The images also show a quad-lens camera on the back (check the camera section below for more information on this). An earlier version of these images showed three cameras and larger bezels, but this was apparently inaccurate, though was more in line with some of the photos above. There&apos;s also a 3.5mm headphone port on the bottom edge, a curved display and what looks to be a metal frame and glass back, shown in both black and ‘Ice Blue’. The Samsung Galaxy S10 Plus is apparently 157.5 x 75.0 x 7.8mm, rising to 9mm at the camera bump, which makes it slimmer than but otherwise a similar size to the 158.1 x 73.8 x 8.5mm Samsung Galaxy S9 Plus, despite apparently having a larger 6.4-inch screen. We&apos;ve now heard more than once that it&apos;s 7.8mm thick. One source has also added that it will be that thickness despite having a much larger 4,100mAh battery than the 3,500mAh one in the Galaxy S9 Plus. As if we needed even more evidence of what the Samsung Galaxy S10 Plus will look like, yet another render (below) claiming to show the handset in all its glory leaked just three weeks ahead of launch. The source claims that this is an &apos;official&apos; render straight out of Samsung&apos;s press library, although there&apos;s no way to confirm whether this is true or not. What we can say is the handset in the image appears to match the design of previous Galaxy S10 Plus leaks, which makes us think it could be accurate. We have also been given an idea of colors the Samsung Galaxy S10 Plus will arrive in, with black, green, white and blue all touted as options – with &apos;prism&apos;, &apos;pearl&apos; and &apos;ceramic&apos; variants of black and white also on the cards. We&apos;ve now seen how the Ceramic Black and Prism Black models might look too, thanks to the leaked renders below. As you can see, the Ceramic Black model has a more metallic and brownish look to it, while the Prism Black version is a darker, purer black and looks more like glass. 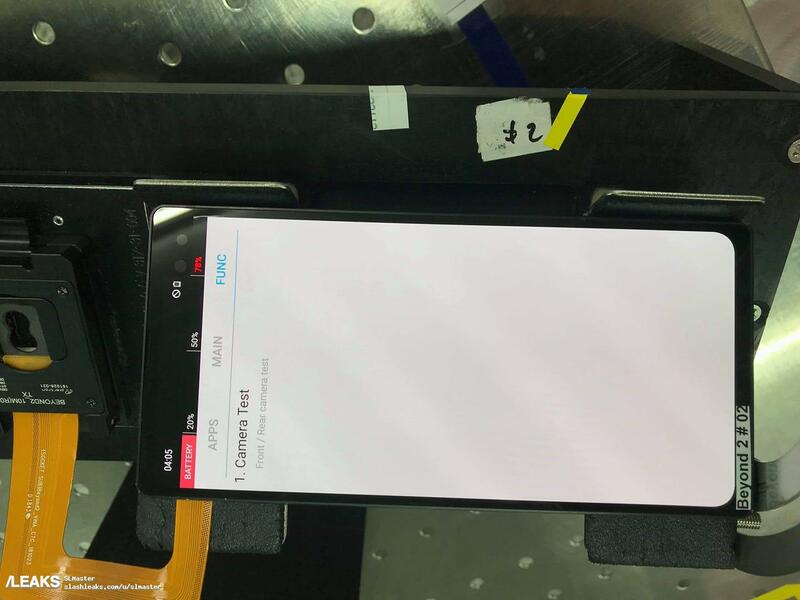 The screen apparently has a QHD resolution, according to this source, which more or less lines up with a benchmark for one of the S10 models, which lists the phone as having a 1440 x 3040 resolution and a 19:9 aspect ratio. Further benchmarks, this time specific to the Galaxy S10 Plus, confirm the aspect ratio and resolution. We&apos;ve heard more than once that the screen might be 6.4 inches, which means rumors that put it at 6.2 inches are almost certainly false. Most recently the Samsung Galaxy S10 Plus screen has been pegged at 6.44 inches. You can&apos;t get much more exact that that (if true). As for the pinhole camera in the pictures above, there&apos;s plenty of evidence for that. In fact, Samsung itself has announced a screen with a pinhole camera, dubbed the &apos;Infinity-O&apos;, though hasn&apos;t said what devices this display would be used for. A patent filed by the company also shows such a design. We&apos;ve also seen mock-ups shared by renowned tipster Evan Blass that point to very small pinhole notches being cut out in the center of the display. However, this is at odds with most images, so unlikely to be accurate. 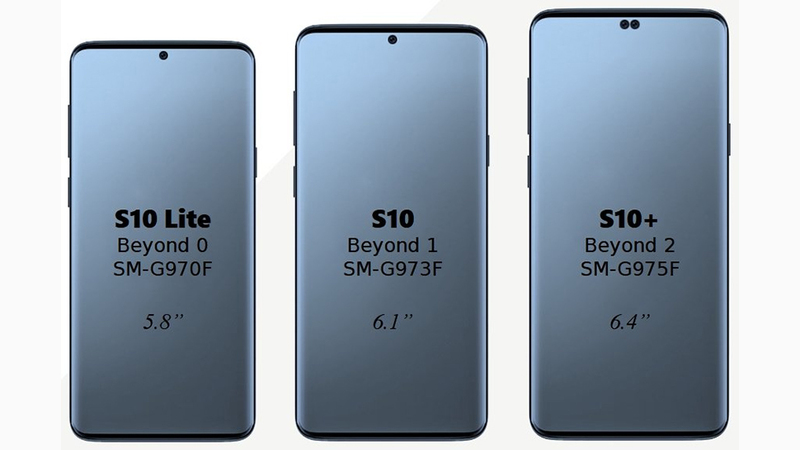 The pictures show the comparative screen sizes of the three devices that Samsung might launch in its new range: the S10 Lite, the S10, and the S10 Plus. Another source has also said that at least one of the S10 models will have a "punch hole" camera, along with three rear cameras and an ultrasonic in-display fingerprint scanner. So there&apos;s a high chance that the camera will indeed be built into the screen. As for that ultrasonic in-screen fingerprint scanner, that&apos;s another Galaxy S10 Plus rumor we&apos;ve heard about plenty of times. Several phones such as the OnePlus 6T and Huawei Mate 20 Pro already have in-screen scanners, so it wouldn&apos;t be surprising if Samsung stuck one on the Samsung Galaxy S10 Plus. In fact, we&apos;ve even seen such a scanner referenced in official code for the Samsung Pay app, so it&apos;s almost certainly coming. More than just being in-screen though, this is rumored to be a third-generation ultrasonic scanner from Qualcomm, which should be more secure than most in-screen scanners, as many are optical, meaning they take a 2D scan of your print, while ultrasonic ones capture a 3D picture. However, while it might gain an in-screen scanner, the Galaxy S10 Plus could lose the range&apos;s iris scanner, according to multiple reports. Though face scanning is likely to remain. 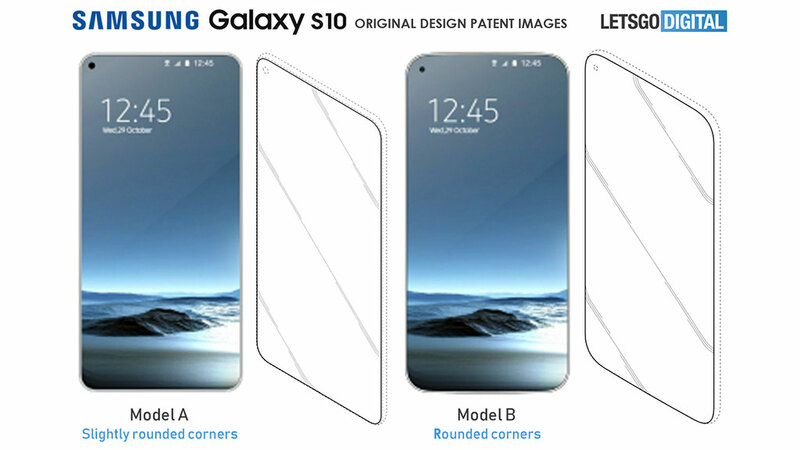 And while the renders above are our best guess for the design of the Samsung Galaxy S10 Plus so far, there are some other possibilities. For one thing, there might be a version of the Galaxy S10 Plus with a ceramic rather than glass back according to one source. This would apparently be heavier than the glass version, but also scratch resistant and resistant to falls. This model would apparently come with 12GB of RAM and 1TB of storage. Samsung has also announced a screen with seemingly no notch, no significant bezel and no pinhole for the camera, so there&apos;s a chance that will be used. 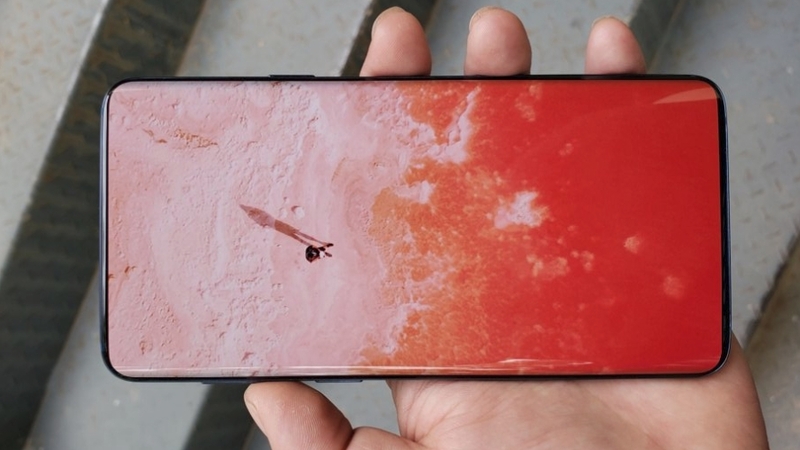 You can see how that might look in the image below, though we’d take this picture with a huge side of salt – it&apos;s one of the older Galaxy S10 leaks and another source has suggested it&apos;s inaccurate. 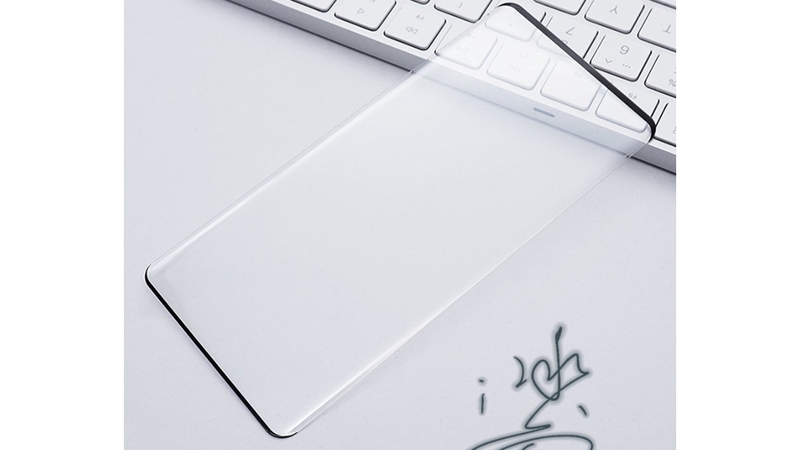 We&apos;ve also seen multiple images of a screen protector supposedly for the Galaxy S10. This is likely for the standard model rather than the Galaxy S10 Plus, but the two phones will probably have a similar design and you can see here too that there&apos;s seemingly a bezel-free look. Though in the case of these screen protectors it&apos;s always possible that they just didn&apos;t bother making a cut-out for the camera, since the protector is transparent anyway. Whatever the look of the phone, it&apos;s sure to be different to the S9 range, as Samsung&apos;s mobile division CEO has said to expect a "very significant" makeover. There could also be some different colors on offer. As well as the ones pictured above, we&apos;ve also heard rumors of grey, blue, red, green and yellow shades, while Samsung itself may have hinted at silver, green, black, blue and red shades in a presentation. 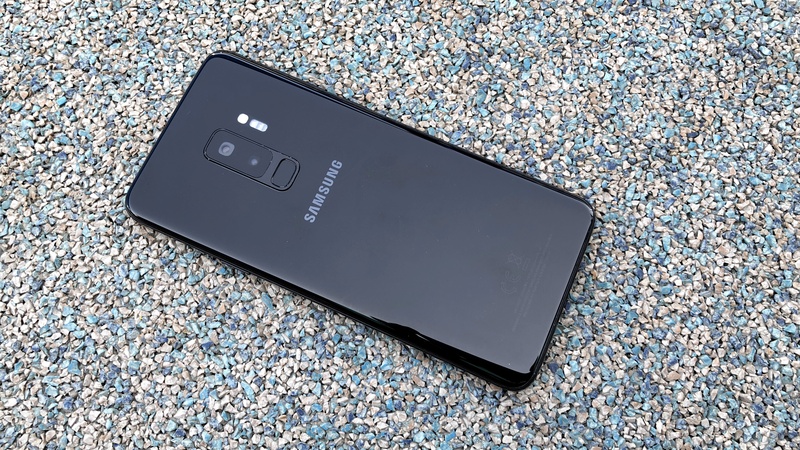 More recently black, white and sea green shades have been rumored, though with the source saying that some S10 models might come in additional colors. The phone might also have a glossy finish according to one report. Finally, one unlikely screen feature comes from a Samsung patent, which talks about building a tiny secondary display over the selfie camera. This close to launch though we doubt we&apos;ll see that, given that none of the leaks mention it. Multiple sources have claimed that the Samsung Galaxy S10 Plus will have a triple-lens rear camera. More specifically, a report has said that the phone will have a 12MP f/1.5-f/2.4 variable aperture lens, a 16MP f/1.9 aperture lens with a 123-degree field of view, and a 13MP f/2.4 aperture lens. Those specs have come up more than once, with another source saying the phone will have a 12MP wide-angle lens, a 16MP super wide-angle lens and a 13MP telephoto lens. Similarly, leaker Evan Blass has said that at least one S10 model will have a wide-angle lens, a standard lens and a telephoto lens. We&apos;ve heard those specs a number of times now. The Galaxy S10 Plus is also thought to have a dual-lens front-facing camera. That&apos;s a claim we&apos;ve heard more than once. That would make for five cameras total, but one of these reports even talks about a Samsung phone with six cameras, and the renders above also show four rear cameras (along with two on the front). It sounds like this might be an even higher end model though, and a source has tried to clear up the confusion, saying that the Galaxy S10 Plus will have three rear cameras, as will the standard Galaxy S10, with the S10 Lite having two. They don&apos;t mention a four lens camera here, but in a later tweet the same leaker talks about the &apos;top&apos; Galaxy S10 model having a 6.7-inch screen, an extra Time of Flight sensor on the front and back and 5G support, so it sounds like that might have four rear lenses. However, it might not be widely available, as they also say it&apos;s coming to the US and South Korea, with no other countries mentioned. Elsewhere, we&apos;ve heard that the Galaxy S10 Plus&apos;s front camera will be able to record in 4K and will benefit from optical image stabilization, while the rear camera will have even better &apos;GoPro-level&apos; stabilization, along with AI scene recognition. As for the battery, one rumor about that so far comes from the image of cases for the S10 range below. The largest case has 4,000 written on it, which could mean a 4,000mAh battery. That would mean a battery the same size as the Samsung Galaxy Note 9 and bigger than the 3,500mAh Samsung Galaxy S9 Plus. It&apos;s also a rumor that we&apos;ve heard more than once. In fact, it has even popped up a third time, this time in a certification listing, which makes it more credible than most sources. However, it could be even bigger than that, with one source now saying that it&apos;s 4,100mAh, though that extra 100mAh is unlikely to make much difference and for now our money is on 4,000mAh given that most rumors point in that direction. The Samsung Galaxy S10 Plus may also benefit from a new fast charging tech as well, with Wireless Quick Charge 2.0 tipped to feature in the handset. The exact specs of the Samsung Galaxy S10 Plus will probably depend on what country you&apos;re in, as Samsung typically gives US buyers a Snapdragon-powered handset and those in most other countries an Exynos one. The Samsung Galaxy S10 Plus is thought to be no exception, and Samsung has announced the Exynos chip likely to be powering it in much of the world. Dubbed the Exynos 9820, this is an octa-core chipset built on an 8nm process, making it smaller than its 10nm predecessor. It&apos;s said to offer up to 20% better single-core performance, up to 15% better multi-core performance and up to 40% better power efficiency than the Exynos 9810 powering the Samsung Galaxy S9 range. It also apparently delivers 10% less power consumption, and the GPU is said to provide up to 40% better performance or up to 35% better power efficiency. Those are some impressive numbers and they don’t end there. 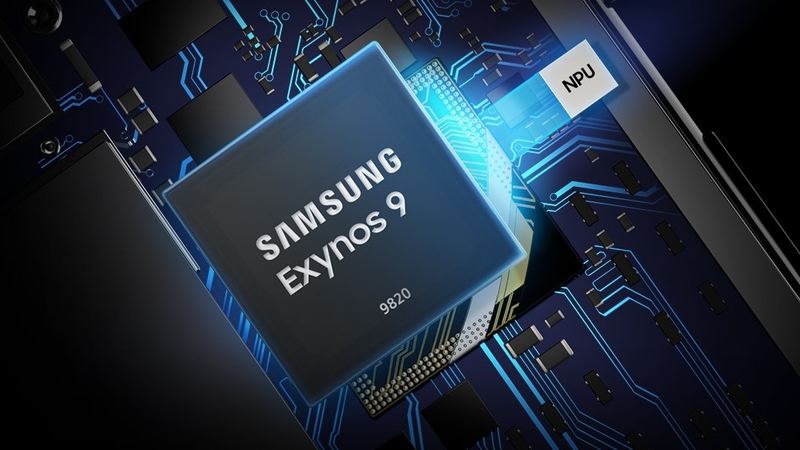 The Exynos 9820 also supports mobile download speeds of up to 2Gbps, 8K video recording at up to 30fps and displays of up to 3840 x 2400 or 4096 x 2160. It also has a NPU (neural processing unit), which can apparently carry out AI tasks up to seven times faster than the previous Exynos chip. Samsung has since gone into even more detail about the chipset, highlighting for example that it supports HDR10+, for better looking video content, and that it can compress 8K recordings so they take up less space. It also apparently offers an improved image signal processor for the camera, enhanced security, and more. Good as all that sounds though an early benchmark for the chip, seemingly running in a Samsung Galaxy S10 Plus, revealed a score that’s lower than the iPhone XS and the rest of Apple’s latest handsets, though it was still higher than any current Android phone. We&apos;ve also seen another benchmark and the scores are once again disappointing, though scores for the standard S10 using the same chipset are better, so we wouldn&apos;t read too much into them. The most recent benchmark meanwhile shows a much more promising score. Those in the US might get a better chipset, as the recently announced Snapdragon 855 is almost certainly going to be used, and this is 7nm, making it even smaller and likely more efficient than the Exynos 9820. This chipset has also been subject to an early benchmark, and it scores not just higher than the Exynos 9820 but higher than any other handset, including Apple&apos;s.
However, that was for the chipset rather than the S10 Plus specifically, and it was an AnTuTu benchmark, whereas a Geekbench result which seems to specifically be for the Snapdragon 855 version of the S10 Plus showed worse results than Apple&apos;s latest phones. 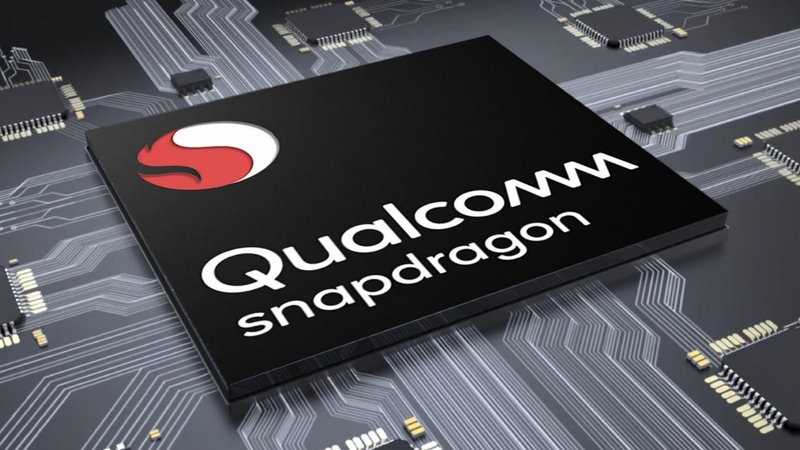 Despite that, Qualcomm has said that the chipset will offer twice the performance of an unnamed 7nm rival – likely meaning Apple&apos;s chip, but possibly referring to Huawei&apos;s Kirin 980. The Snapdragon 855 is also confirmed to support 5G and to have the world&apos;s first computer vision image signal processor, which is a chip dedicated to processing photos and videos. It&apos;s additionally rumored to have three sets of cores – four 1.78GHz power-saving cores, three 2.42GHz high-end cores and one 2.84GHz &apos;gold&apos; core. It also apparently has a dedicated NPU for AI tasks and offers all-round performance boosts, with a particular focus on gaming, augmented reality and photography. As for RAM, one report puts that at up to 12GB, along with up to 1TB of storage, but in both cases that would be more than any other phone, so we’re not at all sure of that. However, it&apos;s a claim we&apos;ve now heard more than once, with the latest report saying this might be a limited edition model. What we might get in the regular S10 Plus is an 8GB RAM chip that Samsung itself has announced and which can reduce power consumption by up to 30% and has a data rate that&apos;s apparently 1.5 times as fast as current flagship RAM chips. Though notably this RAM hasn’t been linked specifically to the Galaxy S10 range just yet. We&apos;ve elsewhere heard that the Galaxy S10 Plus could have a choice of 6GB or 8GB of RAM coupled with 128GB, 256GB or 512GB of storage, while a 5G model might come with 8GB or 12GB of RAM and 256GB, 512GB or 1TB of storage. Most current benchmarks meanwhile list just 6GB. As for storage, Samsung is set to start using UFS 3.0 storage early in 2019. This both takes up less space than current storage in phones and is up to two times faster. If Samsung does use that then presumably the smallest storage size of the Galaxy S10 Plus will be 128GB or higher as has been rumored, up from 64GB in the Galaxy S9 Plus, as this UFS 3.0 storage starts at 128GB. The Samsung Galaxy S10 Plus could also be a speedy performer on Wi-Fi, as it&apos;s rumored to support Wi-Fi 6, which is a new, faster Wi-Fi standard. And beyond the core power, the Galaxy S10 Plus might be a real gaming powerhouse, as a Samsung trademark application for a &apos;Neuro Game Booster&apos; has also been spotted. This sounds like some kind of AI-powered game optimization, but it hasn&apos;t been specifically linked to the S10 range yet. We have a good idea of the software that the Samsung Galaxy S10 Plus will run too. It will use Android of course, almost certainly Android 9 Pie, but Samsung has announced a new One UI which is likely to be laid on top of that. One UI is particularly focused on making it more comfortable to interact with large phones using one hand, which should be useful on Samsung’s plus-sized flagship. We&apos;ve also heard rumor of a “life pattern” mode, which would use AI to automatically adjust aspects of the phone based on your usage.